The Lagos State Police Command has arrested four policemen and three officials of the Lagos State Traffic Management Authority, LASTMA, for extortion. 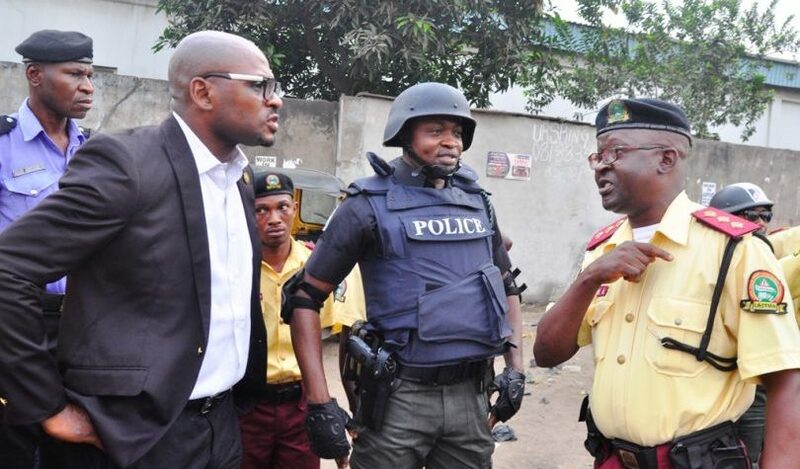 The four policemen are inspector Charles Omokaro, Inspector Idara Akai, Sergeant Chidi Mordi and Sergeant Joseph Bernard; while the LASTMA officials are Mr. Sam Adekunle, Mr. Omolaja Ige and Mrs. Modinat Folashade. He said the publication drew attention to the underhand dealings of some policemen he ran into on his way to Festac town Lagos and alleged that the men took him to First Gate of Festac Town which they had turned to an extortion point. Oti added that they were caught trying to extort one Mr. Waheed Lamidi, whom they gave a Diamond bank account number 0020558133, titled Femi Adebanji to transfer the sum of N75,000.00 when he complained that he had no cash. “The CP Lagos has directed that the suspects be brought to the Command Headquarters, X-Squad section, for thorough investigation and appropriate disciplinary action if found guilty.